Coil performance is excellent when it comes to small bump sensitivity, traction, and mid-stroke performance. Coils require less maintenance to keep your fork running optimally. The PUSH ACS3 Fox Fork Coil Conversion has a 3-point system so you get all the benefits of both the coil and air spring systems in one package. 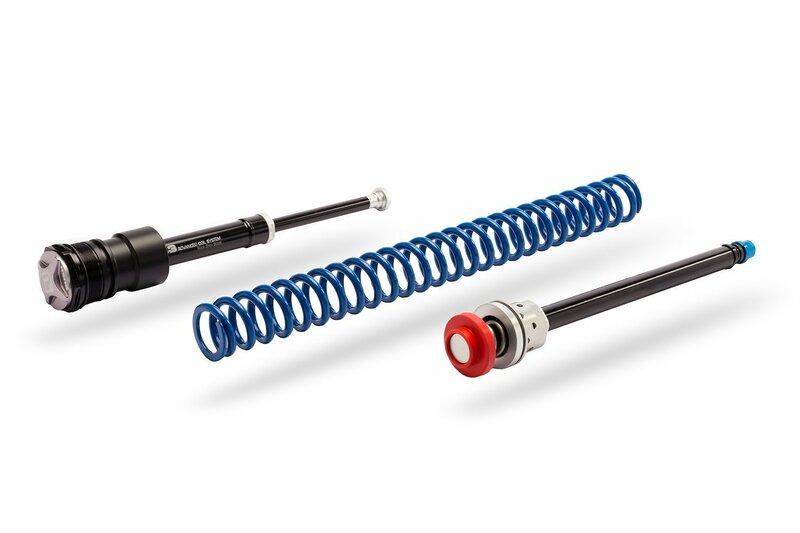 The coil is precision wound from high tensile CrV-Sl suspension spring wire providing the ultimate in initial bump sensitivity and traction for control through the top and mid-stroke of fork travel.